Andrew Finding (GBR), Chair of the Endurance Strategic Planning Group, addresses today’s Endurance conference in Lausanne (SUI), where broad consensus was reached on the way forward for the sport. Photo: Germain Arias-Schreiber/FEI. Lausanne (SUI), 9 February 2014 – Delegates from 23 countries reached a broad consensus on the strategic plan for Endurance sport at the one-day Endurance conference in Lausanne (SUI) today. The conference was attended by more 70 delegates, with a total of 20 National Federations represented. Other bodies attending the conference were the European Equestrian Federation, World Horse Welfare, American Endurance Ride Conference and the Equine Community Integrity Unit (ECIU), as well as members of the media. FEI President HRH Princess Haya attended as an observer, along with members of the FEI Executive Board. The morning session focused on feedback from the National Federations on the proposals outlined at the 2013 General Assembly in November 2013 by the Endurance Strategic Planning Group (ESPG). Of the 47 National Federations involved in the sport, of which 33 run elite Endurance events, 20 Federations returned responses via the electronic survey, a further six sent additional comments. A team of veterinary surgeons also held its own scientifically based review and shared its views with the ESPG. ESPG Chair Andrew Finding summarised the results from the survey, in which 32 of the Group’s 37 recommendations received an approval rating of over 80%. Andrew Finding pledged that every comment received would be addressed by the Group and, where appropriate, covered at the operational planning level. He also stated that the Group had recommended that members of the Endurance Committee should be tasked with a specific area of responsibility to cover each of the critical success factors outlined by the ESPG – culture and behaviour; structure and governance; foundation for growth, and communications and marketing. His presentation then focused on the five recommendations that had a lower approval rating, but still in excess of 50%. These were the designation of Persons Responsible, and whether trainers should be included alongside riders, ride qualification standards, a trainers ranking list, awards for completions, and awards for officials. He also covered five other areas that National Federations had raised in their responses to the survey and which the ESPG felt had not been covered fully in its recommendations. Debate during the day focused on the key areas of horse welfare; clean sport and the rules, which were widely accepted as fit for purpose; support for officials on enforcement of those rules; transparent and consistent reporting; the use of technology; rider competence and horsemanship; cost implications; sponsorship; the technicality of courses to help resolve speed-related issues; technical criteria during competitions; individual and team performance; and ensuring the long-term development of the sport. There was also considerable discussion on the traditional Endurance rides, which are now being referred to as Classic Endurance riding, and Endurance Racing. There were mixed views on whether a different set of rules should be used, but it was generally agreed that the rules cover both elements. Part of the afternoon’s session was devoted to establishing the Key Performance Indicators (KPIs), which will be used to evaluate the success of the strategic plan. “Endurance sport has expanded thanks to the expansion in Group VII; we mustn’t lose sight of that expansion,” he continued. “How we handle the expansion of the sport is down to you and it’s important we handle that right for the future of the sport. The ESPG will now use the input from today’s conference to finalise its report, which will be presented to the FEI Bureau for further consideration. The FEI Bureau and the Endurance Committee will report at a special session on Endurance at the FEI Sports Forum (28-29 April 2014) about the follow-up on the conclusions of the ESPG. The 20 National Federations represented at today’s conference were from Belgium, Botswana, Czechoslovakia, Denmark, France, Germany, Great Britain, India, Ireland, Italy, Namibia, Netherlands, Norway, Portugal, South Africa, Spain, Sweden, Switzerland, Slovakia, United States of America. The FEI Endurance Strategic Planning Group (ESPG), set up last year following the Endurance round table on 24 July, was tasked with creating a long-term plan for the discipline to tackle the issues currently being faced in Endurance. The ESPG is chaired by Andrew Finding, European Equestrian Federation Board Member and CEO of the British Equestrian Federation. September 18, 2013 – Lexington, Kentucky (EWA) – The Third Annual International Equine Conference, hosted by the Equine Welfare Alliance, will be held September 27-29 at the Kentucky Horse Park in Lexington, Kentucky. On the opening day of the conference, Friday September 27, horse welfare organizations will come together to hold a special press conference to provide expert information on equine welfare to the media and advocates that cannot attend the full conference. Michael Blowen, owner and founder of Old Friends Thoroughbred Retirement Facility, will open the press conference. Participating in the press conference will be key individuals from The Equine Welfare Alliance, Respect4Horses, the Cloud Foundation, Wild Horse Freedom Federation, Wild Horses of the Abacos, and the Humane Society of the United States. The press conference will cover the potential re-opening of horse slaughter plants in America, BLM’s mismanagement of America’s wild horses and burros, horse tripping, the over breeding of horses and other current issues pertaining to equine welfare. All press, media and public are welcome to attend the Press conference. Refreshments will be served. Please be seated at 11:00a. After the Press Conference, the three day International Equine conference will continue with a tour of Three Chimneys farm in Midway, Kentucky, Old Friends Farm and a meet and greet reception at 7:00p at The Kentucky Horse Park. On Saturday, presentations will commence and will end on Sunday. The soon to be released documentary “America’s Wild Horses” will also be previewed at the International Equine Conference. For the agenda, list of presenters, additional information or to register, please visit www.equinewelfarealliance.org. The Humane Society of the United States is the nation’s largest animal protection organization, rated the most effective by its peers. Since 1954, The HSUS has been fighting for the protection of all animals through advocacy, education and hands-on programs. We rescue and care for tens of thousands of animals each year, but our primary mission is to prevent cruelty before it occurs. We’re there for all animals, across America and around the world. Celebrating animals and confronting cruelty – on the Web at humanesociety.org. For more information about the Laminitis Conference, go to: http://laminitisconference.com. The Laminitis Conference provides innovative and useful programs for veterinarians, farriers, horse owners, managers, trainers and technicians. Attendees receive the latest, most advanced science and practical information, including the newest research and techniques used in the treatment of laminitis and other diseases of the foot. It is a valuable opportunity to network with colleagues and peers. Plus, new this year- the Horse Owners Program with a focus on the wellness of the horse provides an opportunity for owners, trainers and barn managers to talk to the experts. All the Conference’s events, activities, entertainment and meals are included in registration. The mission of the Laminitis Conference is to engage veterinarians, farriers, caretakers and the greater equine community in a collaborative effort to advance, expand and disseminate knowledge through research and collective experiences to effectively prevent and treat Equine Laminitis and Diseases of the Foot. The Conference is now accepting abstract submissions for oral and poster presentations in the scientific and practical sessions of the conference. Abstracts should be submitted electronically as a Word document, no later than April 1, 2013, to Kate Shanaghan at info@laminitisconference.com. For more information about abstract submission, go to: http://laminitisconference.com/rfp.pdf. Top international sports experts representing the IOC, FIFA, FEI and several other international sports federations met at the Home of FIFA in Zurich. 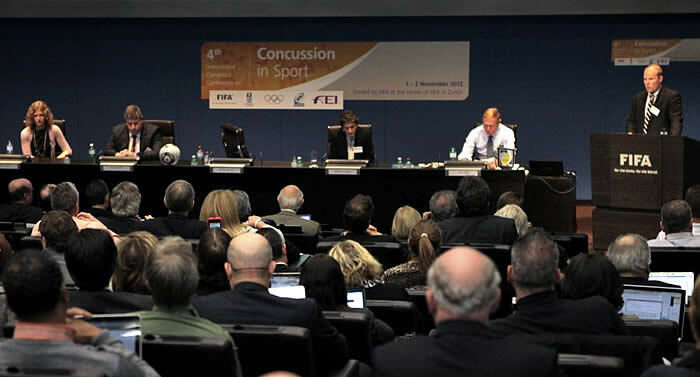 Lausanne (SUI), 2 November 2012 – The FEI joined the IOC as one of five co-sponsors of the Fourth International Consensus Conference on Concussion in Sport in Zurich (SUI) this week. The two-day conference, which was held at the FIFA headquarters on 1 and 2 November, was also sponsored by FIFA, the International Ice Hockey Federation (IIHF) and the International Rugby Board (IRB). Yves Rossier, Vice Chair of the FEI Veterinary Committee, addressed the Olympic Sports Federations’ medical chiefs on equine injury surveillance at their annual conference. Lausanne (SUI), 19 October 2012 – Yves Rossier, Vice Chair of the FEI Veterinary Committee, delivered a presentation on equine injury surveillance at the annual International Olympic Sports Federations’ Medical Commission Chairpersons conference held at the IOC Headquarters in Lausanne (SUI) yesterday. 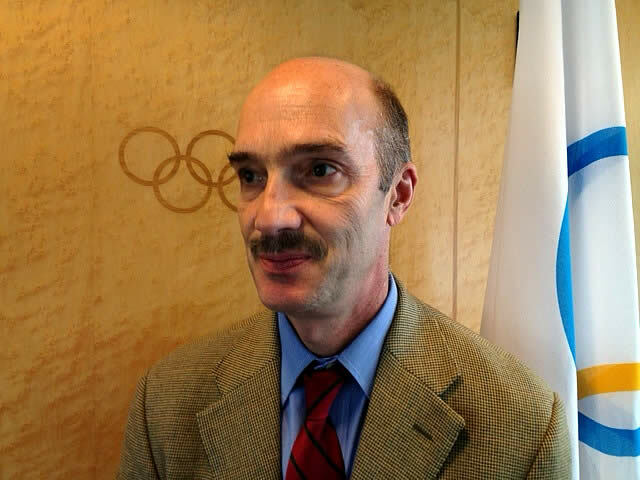 The Canadian, who was head of the Olympic Veterinary Clinic in Greenwich Park at the London 2012 Olympic Games, took a year’s sabbatical leave from his work as Professor of Equine Sports Medicine at the University of Montreal to complete a study on Injury Surveillance in FEI Horses. The FEI-funded study on equine injuries also involved analysis of the approaches taken by other sports regulators, including the IOC, International Federations and horseracing authorities. One of the key objectives of the study was to review injury surveillance programmes (human and equine) in order to fine-tune the existing FEI protocol and introduce an improved model for FEI events. Harrisburg, PA – October 16, 2012 – The best young riders in the country gathered at the Pennsylvania National Horse Show this weekend to compete during the 2012 Randolph College/USEF National Junior Jumper Championships. Leading the way was 18-year-old Abigail McArdle of Barrington, IL, who helped Zone Five capture the USEF Prix de States Team Championship and later went on to earn the Individual Junior Jumper Reserve Championship aboard Cosma 20. McArdle and Cosma 20 kicked the weekend off right with a clear first round on Thursday night, finishing in second place just shy of the leading time. 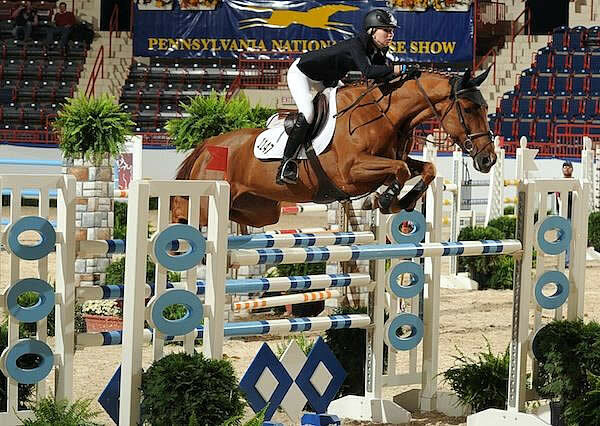 Friday night highlighted the USEF Prix de States Team Championship. McArdle’s Zone Five Team members included Kalvin Dobbs of Carmel, IN riding Winde; Lillie Ross of Wheaton, IL aboard Pako; and Catherine Tyree of Chicago, IL on Wetter. September 14, 2012 – Chicago (EWA) – The Equine Welfare Alliance (EWA) and Respect4Horses are holding a press conference that will feature sponsors and presenters from the International Equine Conference (IEC). The press conference will be held at the University of Nevada Las Vegas (UNLV) campus in the Stan Fulton Bldg. on Friday, September 21, 2012 at 11 A.M.
Current issues surrounding the BLM roundups of our wild horses and burros and horse slaughter for human consumption in the United States and its social and environmental impacts will be discussed at the press conference. The general public as well as students and faculty of the university are invited to attend. Refreshments will be served at the press conference. The conference will be held on Saturday and Sunday, September 22 & 23, 2012, at the UNLV campus Stan Fulton Bldg. Current initiatives, legislative issues and progress addressing the care and futures of domestic and wild horses and burros in this country will be covered by an impressive and diverse panel of experts. Chicago (EWA) – Registration is now open for the 2012 International Equine Conference (IEC) to be held at the Riviera Hotel in Las Vegas, Nevada. The event follows the extremely successful 2011 conference in Alexandria, Virginia last year. The conference will kick off with a reception at 8PM on the night of September 21st, and continue with two full days of presentations starting on the morning of the 22nd. Thanks to the generosity of sponsors, this year’s conference will include both breakfast and lunch on Saturday and Sunday. Evenings will be free for participants to enjoy the many exciting diversions of Las Vegas. The program will address all aspects of equine welfare for both domestic and wild equines as well as the impact of horse slaughter on public health and communities. Speakers will include many of the personalities that have been in the news over the past year, as well as some who have been working quietly behind the scenes. “It will be a chance to get the inside story from people who have dedicated their lives to protecting our horses and burros and much of the information will not have been publicly available before,” explains EWA’s John Holland. Lexington, KY, June 13, 2012 – The historic Shaker Village of Pleasant Hill in Harrodsburg, Kentucky will be the site of a trails conservation workshop associated with the Southeastern Equestrian Trails Conference (SETC). SETC is a two-day conference established thirteen years ago, and will be held in Lexington, Kentucky on July 13-14, 2012. The Shaker Village workshop will be held on July 12, 2012 as an optional pre-conference offering. Shaker Village is a National Historic Landmark on 3000 acres of rolling Central Kentucky farmland, located about 25 miles southwest of Lexington. The Village is managed as a private nonprofit. While horses have been ridden on trails there for years, recently some unique partnerships established with the local Back Country Horsemen groups, as well as fox-hunting and driving organizations. These partnerships have resulted in not only more trail mileage, but an appreciation by the Village management of the value of equestrian tourism, the enhancement of the historic atmosphere when horses are present, and the benefits of trail planning and maintenance when working closely with local horsemen.